Root canals are performed over 15 million times each year in the United States. Not only is this procedure surprisingly common, but it is often misunderstood. Thanks to modern advancements in dentistry, root canal therapy is a relatively comfortable procedure. Our Hillsboro dentist team knows how to minimize pain and recovery time for their root canal patients. We are also certified by the DOCS to provide safe sedation dentistry. Root canals are used to treat teeth that are internally infected. The inside of the tooth contains the pulp, which contains the soft nerves and tissues that allow the tooth to feel sensations. If the pulp becomes exposed because of exterior damage, infection may occur, resulting in tooth pain and sensitivity. If left untreated, infection can ultimately lead to permanent tooth loss. Root canals can eliminate tooth pain, protect the tooth, and restore it to full function. When a tooth pulp becomes inflamed or infected, root canal therapy can save the tooth. A tooth pulp might become infected when bacteria and inflammation leak through a crack or chip in the tooth. Act early to save yourself from tooth pain and potential tooth loss. The tooth is numbed to ensure your comfort. You may choose to take advantage of oral conscious sedation. An opening is made in the crown of the tooth, and the nerve is removed through the opening. The root canals are cleaned, shaped, and filled with a rubbery material. The tooth is restored with an appealing dental restoration, such as a dental crown, to fortify it. 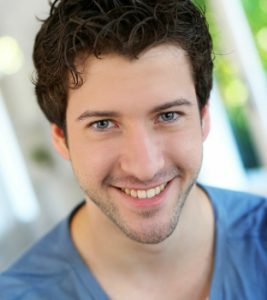 It’s not too late to save your natural smile at Hillsboro Dental Excellence. Call us today to relieve your tooth pain with root canal therapy if you are in Hillsboro or Forest Grove.